Helps in writing PHP scripts. Is there a better alternative to PHP Console? Is PHP Console really the best app in Source category? Will PHP Console work good on macOS 10.13.4? 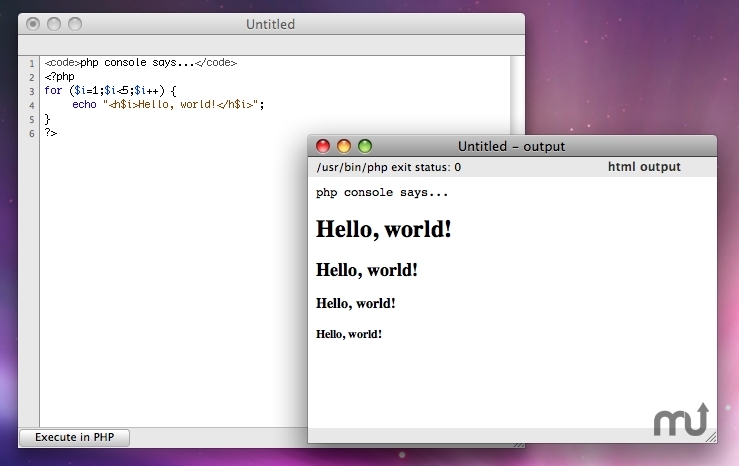 PHP Console is a quick little app I wrote to help me while writing PHP scripts - I use it whenever I'm writing PHP, so I thought it might be useful for others as well. The major difference between version 2.0 and 1.6 is the document-based approach. Version 2.0 is shareware.